Are you planning your next big move? Generally, to end your tenancy you will need to give written notice to the landlord or agent. The notice period required will be different depending on the situation. You can also end your tenancy by moving out after you have been given notice by the landlord. If you want to end your tenancy when the fixed term period of the agreement is due to run out, you will need to give at least 14 days notice. This notice can be given up to and including the last day of the fixed term. If you want to end your tenancy after the fixed term has ended (and you have not signed another lease), you will need to give at least 21 days notice. This notice can be given at any time and does not have to line up with the rent payment cycle. You must pay the rent up to and including the day your notice ends and you vacate. 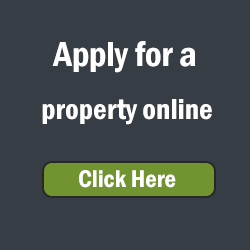 Click the link to download a Notice to Vacate Form, or complete the online form. This can be emailed to: vacating@appleproperty.com.au or directly to your property manager, if you have their email address handy. If a landlord notifies their intention to sell the premises during the fixed term of a tenancy agreement and did not disclose the proposed sale before signing the agreement, the tenant can terminate the lease with 14 days notice and doesn’t have to compensate the landlord for the early termination. If your landlord serves you with a termination notice you can move out any time before the notice ends without having to give your own notice. If you were given notice because of the end of the fixed term, you are responsible for paying the rent until the last day of the fixed term. Otherwise no further rent is payable from the day you hand back vacant possession after getting a termination notice from the landlord. If your landlord serves you with a termination notice and you do not vacate by the day requested, the next step they can take is to apply to the Consumer, Trader and Tenancy Tribunal for a termination order. The Tribunal will send you a notice to attend a hearing. 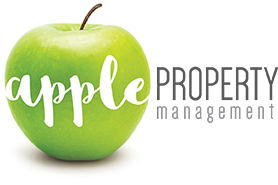 © Copyright 2018 Apple Property Management | All Rights Reserved | Website Design and Real Estate Marketing by Exposure By Design.